What? 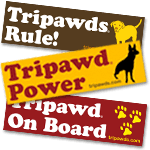 You’ve never visited the Tripawds Blurb Bookstore? 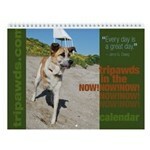 Check it out now to see the new Tripawds 2013 Now appointment book! Looking for the perfect gift for your vet? Put a copy of Tripawd Heroes in their lobby to help others facing amputation see how well dogs do on three legs. 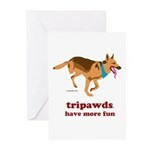 Or, act now to get your own personalized Tripawd Heroes book featuring your dog. Get two books, send one to a friend, and save ten bucks! Create your own custom books and save! Blurb makes it simple to create your own personalized photo books and weekly planners. Just add your own photos or import them from Facebook. 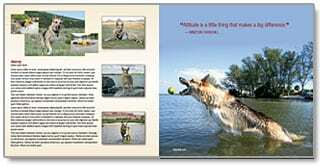 Premium quality custom books make great gifts and are a wonderful way to remember our three legged friends with favorite photos.